A research team from UTM under the sponsorship of Newton Fund, led by Dr. Chong Chun Shiong (Department of Biosciences, Faculty of Science), visited the Centre for Novel and Agricultural Products (CNAP), Department of Biology, University of York, UK from 30th June to 6th July 2018. 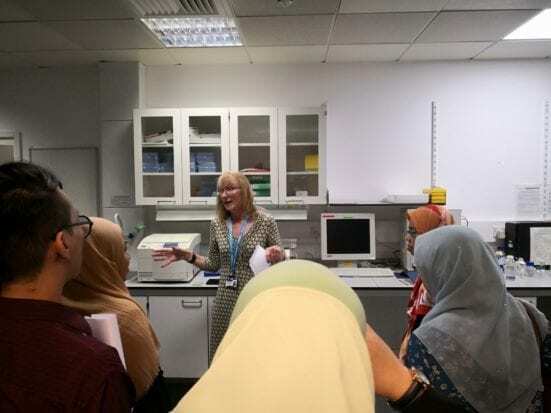 The purpose of this visit was to update the progress of research between Malaysia and the UK side, to visit the recent advance technology facilities in biotechnology and to build up a long term relationship for future collaboration. The visit was warmly hosted by Professor Neil Bruce, the Principal Investigator of the project from the UK side, as well as all the researchers involved in this project. The visit was divided into 2 parts: research progress workshop and visit to Technology Facility of Biology Department as well as Biorenewable Development Centre (BDC) of University of York. Photo 1: A total of 21 researchers gathered under one roof. UK team – Prof. Neil Bruce (York), Prof. Simon McQueen-Mason (York), Prof. Lindsay Stringer (Leeds), Dr. Nicola Oates (York), Dr. Susannah Bird (York), Dr. Leonardo Gomez (York), Mr. Daniel Leadbeater (York), Ms. Juliana Sanchez (York), Dr. Deborah Rathbone (BDC), Dr. Joseph Bennett (BDC) and Mr. Alex Setchfield (BDC). Malaysian team (UTM) – Dr. Chong Chun Shiong, Dr. Adibah Yahya, Assoc. Prof. Dr. Madihah Md Salleh, Assoc. Prof. Dr. Zainura Zainon Noor, Assoc. Prof. Dr. Goh Kian Mau, Prof. Dr. Zaharah Ibrahim, Mr. Lam Ming Quan, Ms. Nurshafika Abd Khalid, Ms. Sharvini Siva Raman and Mr. Kevin Jaffery. 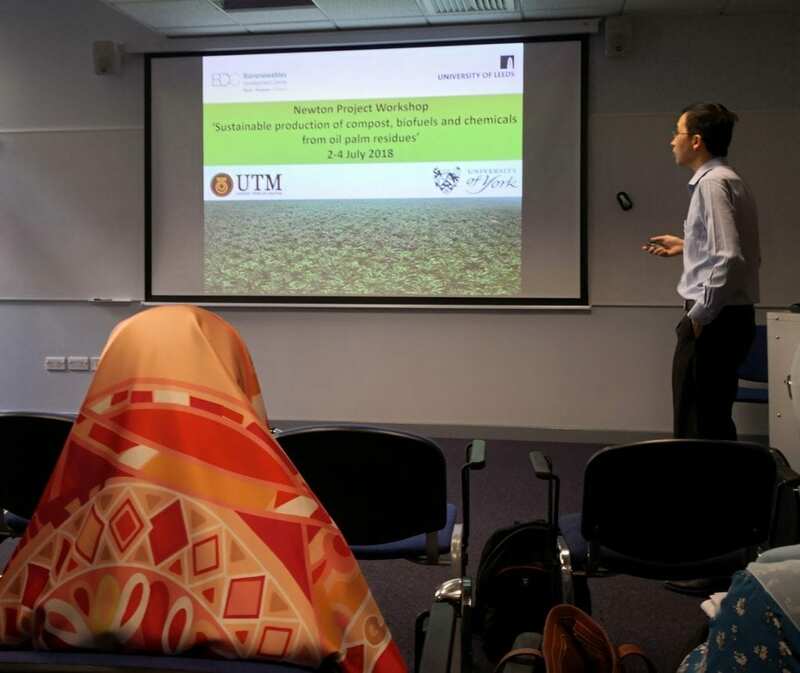 During the research progress workshop, all the UK researchers, UTM researchers and students involved in this project were required to present their progress. As this project is mainly aimed to build up the capacity and capabilities of Malaysians in terms of research, Malaysian students are working collectively with the UK research team. For instance, Mr. Lam Ming Quan (Supervisor: Dr. Chong Chun Shiong), came a few weeks earlier for his data analysis before the visit, and they are working together with Dr. Nicola Oates and Dr. Susannah Bird, co-supervised by Prof. Neil Bruce from University of York. Besides, Ms. Sharvini Siva Raman (Supervisor: Assoc. Prof. Dr. Zainura Zainon Noor) are guided by Prof. Lindsay Stringer (University of Leeds, UK). The discussion during the workshop was fruitful and potentially benefit the Malaysian team in terms of scientific knowledge and waste management. Photo 2: Dr. Chong Chun Shiong introduced the project overview and current progress. 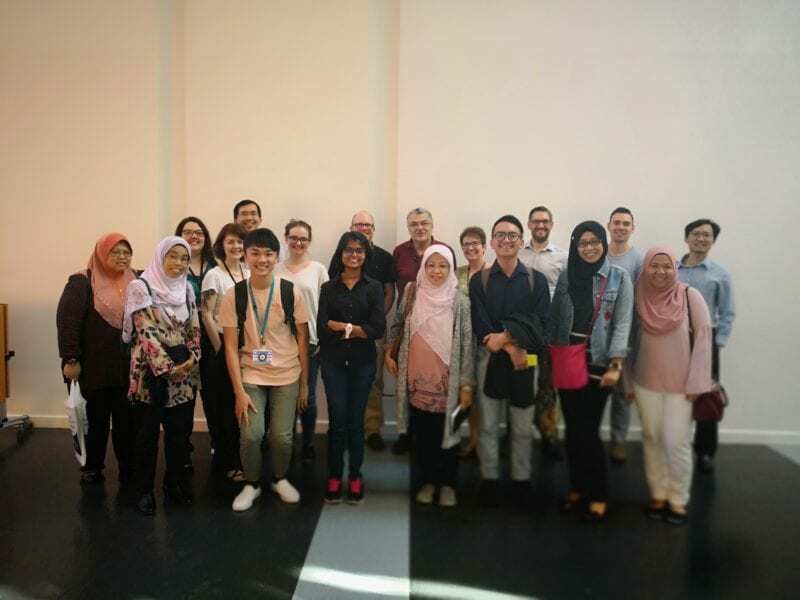 After the workshop, the Malaysian team had explored the working environment in the department and was introduced to advance facilities in Technology Facility of Department of Biology, including Illumina sequencer for -omics studies, various microscopes, bioreactors and liquid chromatography–mass spectrometry (LC-MS). Just a day before the Malaysian team leave, they were brought to Biorenewable Development Centre (BDC) (http://www.biorenewables.org/), a company with an open-access R&D centre, based at the University of York, working at the interface between academia and industry to convert plants, microbes and biowastes into profitable biorenewable products. BDC is the link between the industry and the university, and it functions to fulfil the needs of both sides, and this is what lacking in Malaysia. Experience sharing from BDC provides new insights to the Malaysian team. Photo 3: Visit to Technology Facility, Department of Biology, University of York. The visit ended successfully, and the relationship built is not going to end here; instead, a new chance might arise from this project. The Newton Fund research team would like to express their gratitude to all the parties involved for allowing this visit to be held smoothly.